"Transfomers have multiple tap locations to adjust the primary coil length to the actual incoming voltage. " 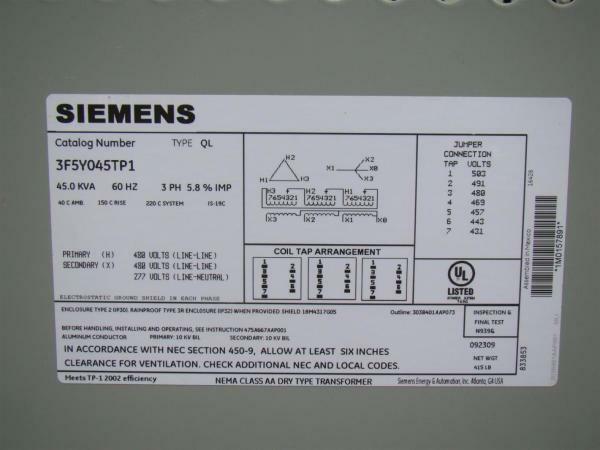 The pictures below the tap voltages for each tap on the transformer label. Transformers should be inspected before installation to ensure that no damage occured in shipping and to ensure the transformer is the correct transformer for the installation. When installing a new transformer, one of the most important aspects is the transformer inspection. New transformers should be inspected upon receipt before removing from cars or trucks to determine if any damage is evident or if there is any indication of rough handling. A claim should be filed with the carrier at once and the manufacturer notified if damage is evident. Shipping bolts need to be inspected and set the correct position: The transformer coils will be mounted on a frame and where the frame connects to the transformer housing will be bolts. Check the owners manual which came with the transformer and look for shipping bolt instructions. Most transformers have a set of bolts which hold the transformer coils to the frame and these bolts are tightended down all the way for shipping. Most manufacturers require these bolts to be loosened before installation so that the coils can vibrate without transfering the vibrations to the frame. 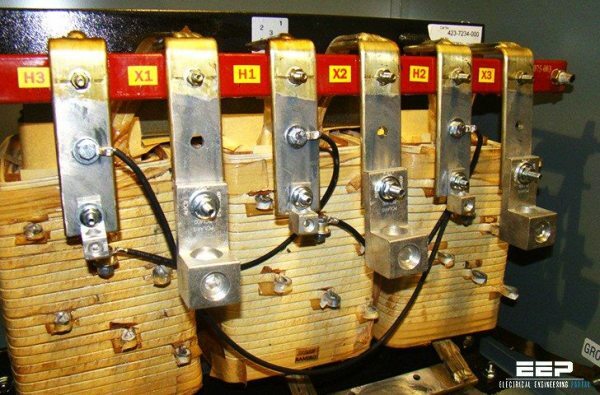 The transformer label should be checked for the primary tap settings: Each three phase transformer will have 5-7 tap points for each coil for the primary coils. This is so that the transformer can be wired as close to the actual primary line voltage as possible. 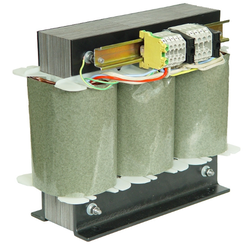 ​You will need to test and know the voltage that is acutally delivered to the transformer. You can do this by checking the voltage at the main service or at the feeder location. The lable on the transformer will tell you the number of taps and the voltage for each tap. You will need to find the taps on the front of each coil. They are typically a set of small loops coming off the coil with a bolt and nut. One of these will have a wire terminated to it which will also be connected to H1, H2 or H3 terminal. You need to ensure that the wire for each coil is terminated to the loop which is closest to the actual incoming line voltage.